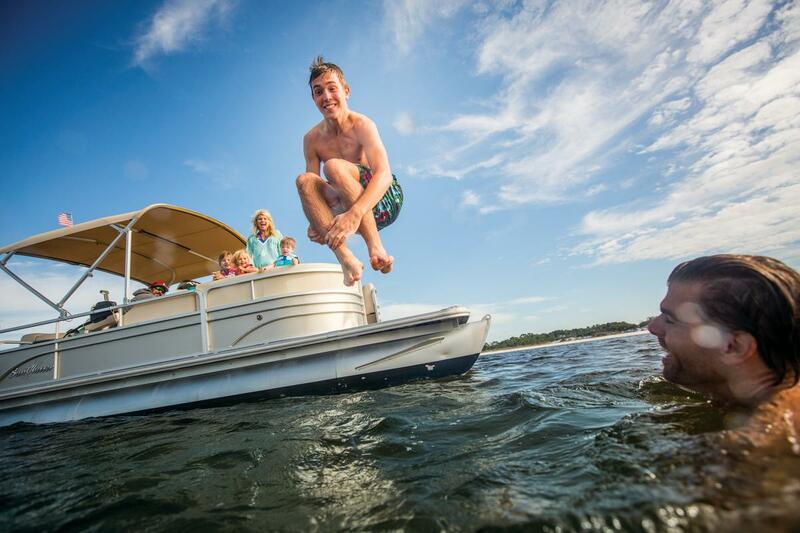 Given the natural splendor of our coast, Panama City Beach is the perfect location for water activities. We have the guides and equipment necessary for fishing, boating, parasailing, diving and more. Whether you want fun on the waves or adventure below the sea, the ideal excursion is waiting for you. Explore the aquamarine waters of the Gulf of Mexico, cruise the Grand Lagoon, or sail St. Andrew Bay—fun and adventure beckon with a chartered cruise! Book an excursion to swim with dolphins in the Gulf or stroll the beaches of Shell Island collecting sand dollars. Experience a jolt of adrenaline on a high-octane airboat ride through the bayous where the alligators roam. Or charter a fishing boat and come back home with that big fish story. 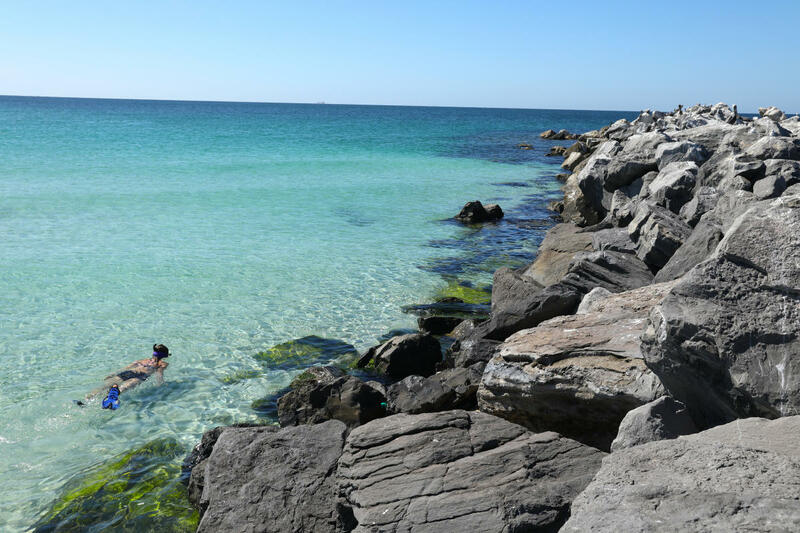 Panama City Beach is world renowned for its crystalline waters and impressive variety of aquatic wildlife. While you’re here, take dive lessons and become scuba certified. Whatever your level of diving experience, a thrilling underwater adventure awaits. Plunge beneath the surface on a guided scuba tour where you can discover various marvels, natural and man-made alike. Let experienced guides lead you through the wonders of sunken ships and limestone reefs. Get acquainted with sea turtles, octopus and other colorful wildlife that inhabit our waters. 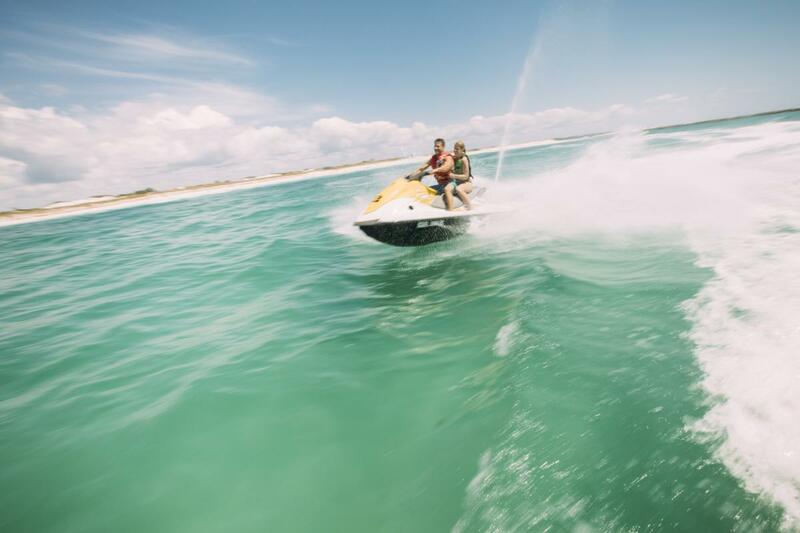 Skip over the surf on jet ski tour, and slice through the waves on a rented high-performance Yamaha Waverunner, leaving the humdrum in your wake. Or set out for Shell Island to gather mementos from a vacation of a lifetime. Moderately paced tours are perfect for the family, but if you’d like to break away from the pack and do your own thing, you can even chart your own course with an unguided tour. 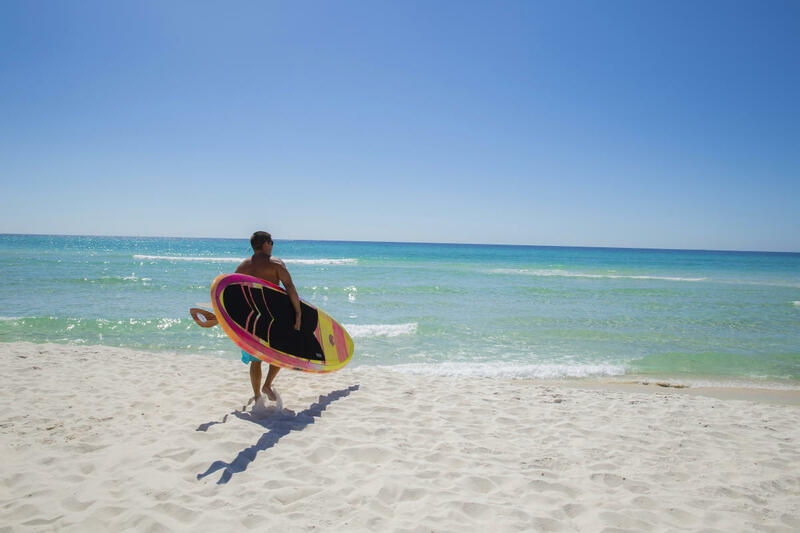 Panama City Beach’s proximity to all manner of waters, lagoons, lakes and rivers makes it a flawless location for SUP or Stand Up Paddleboarding. The city abounds with classes that can provide you with basic or advanced techniques on this exciting activity. Looking to add another dimension to this recreation? Try paddleboard fishing or get centered with paddleboard yoga. 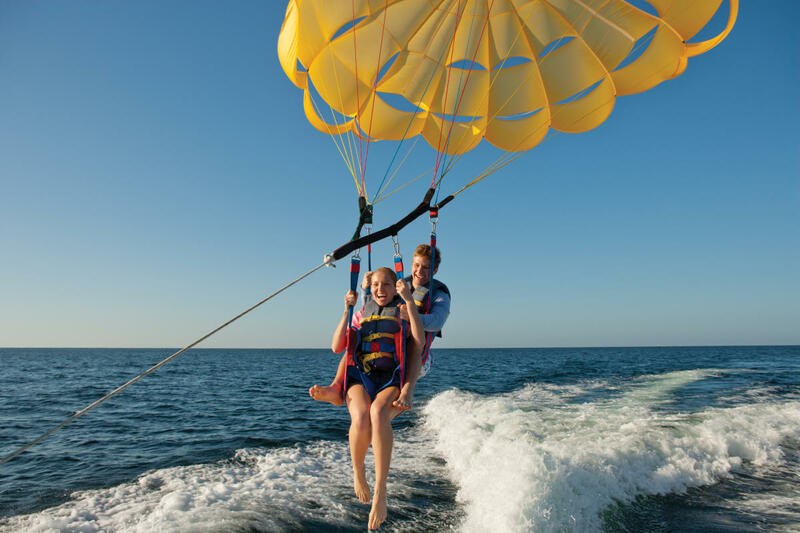 Book a parasailing excursion and leave the earth behind. In Panama City Beach, gravity becomes a suggestion rather than a rule. There’s nothing like a new perspective, and our brilliant, sugary white coastline and sublime turquoise waters offer a heavenly view.